Two-seat, two-door sports coupes are usually a thing of beauty, but most of them tend to cost a ton of money. However, all that changed when Subaru and Toyota decided to join hands in an effort to develop a fun yet affordable sports coupe. This partnership soon resulted in the FT-86 concept which was first displayed at Tokyo Motor Show back in 2009. Exactly two years later in 2011 and at the same venue, the almost identical Toyota 86 and Subaru BRZ were launched. Interestingly enough, both the Toyota 86 and Subaru BRZ are built at the latter’s plant in Gunma, Japan. Despite being so similar, the former is a more common sight on our roads, whilst the BRZ is a lot rarer. Since its introduction 8 years ago, the Subaru BRZ is still in its first generation, though over these years the BRZ has received some updates in design and technology. In the UAE, the 2019 Subaru BRZ locks horns with the Toyota 86, Nissan 370Z, and even the Audi TT. With its most recent facelift having taken place a couple of years back, the 2019 Subaru BRZ now looks fresh and more aggressive than before. The front fascia sports modern full-LED headlights along with C-shaped LED daytime-running lights. The flush, aerodynamic hood is retained from before, while the new bold-looking bumper livens up the look and adds a sportier feel. The bumper also gets smart LED foglights and functional air intake vents. The svelte side profile remains vastly unchanged, save for the new 17-inch alloy design. The sporty stance is maintained by the flared fenders, low body height, and the sleek front fender garnishing. At the back, the 2019 Subaru BRZ comes equipped with a fixed rear wing, bulging LED taillights, and a large air diffuser with neatly-set dual exhausts and rear foglights. Overall, the BRZ is one of the best looking sports coupes, irrespective of the price. Dimensions-wise, the 2019 Subaru BRZ stands at 4.234 meters in length, 1.775 meters in width, 1.285 meters in height, and its wheelbase measures 2.570 meters. Unsurprisingly, the total boot capacity of the BRZ isn’t very good at a meager 195 liters. The snug cockpit of the 2019 Subaru BRZ lives up to its sporting nature quite comfortably. 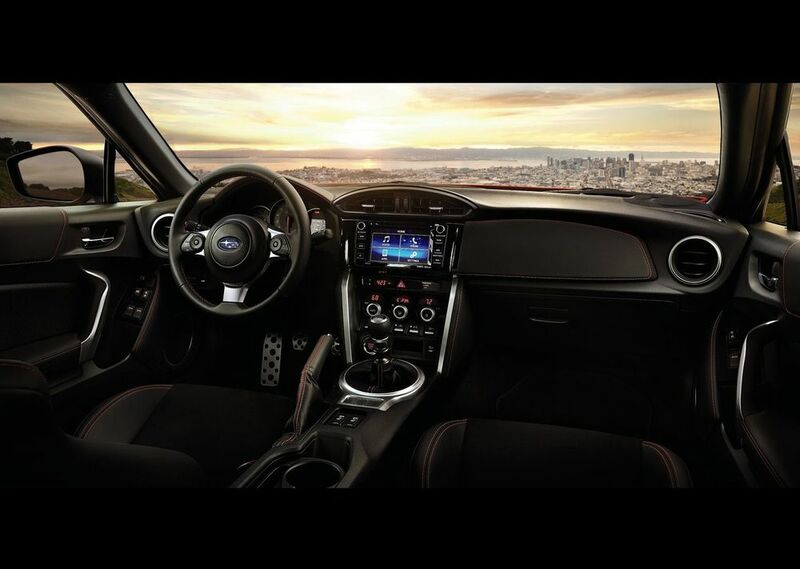 It features Alcantara-trimmed sports seats with contrast stitching and ‘BRZ’ logo, a meaty multifunction steering wheel, leather-trimmed manual handbrake lever, faux carbon-fiber trim, and aluminum pedals. As sporty and snug as it may be, this cabin offers enough room for two adults and it’s far from uncomfortable. However, due to its low ride height, ingress and egress can get tricky. The seats are fairly comfortable and ride quality is far from punishing, though the 86 rides a tad better on bad patches of pavement. 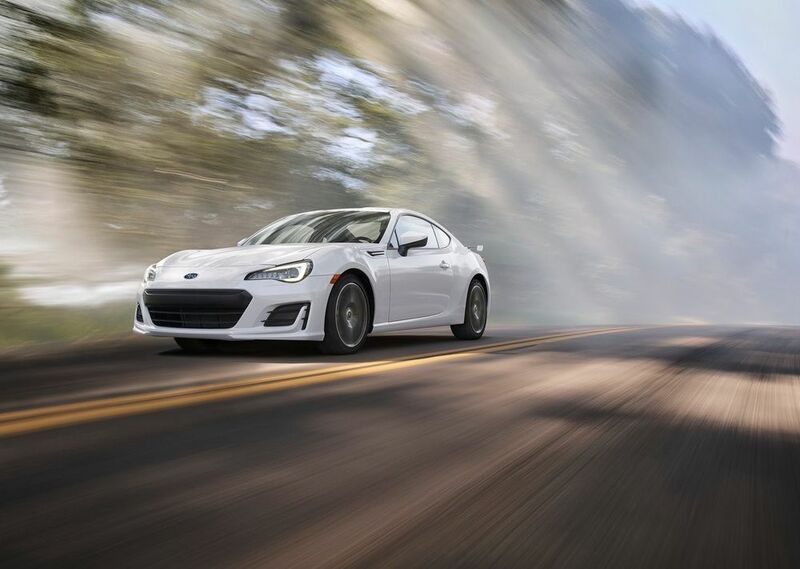 On the cabin tech front, Subaru has fitted the BRZ with dual-zone climate control, paddle shifters, a drive-mode selector, cruise control, keyless-entry with push-button start, and all-around parking sensors with rear camera. There are also 8 airbags, ABS with EBD and traction control. 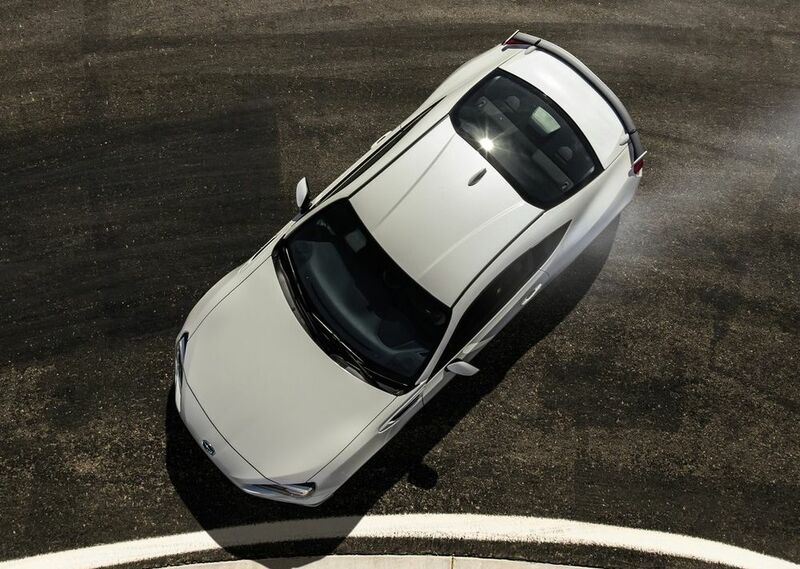 The BRZ is powered by a 2.0-liter four-cylinder boxer mill which produces 200 hp and 205 Nm of torque. This engine sends power to the rear wheels via either a 6-speed manual or automatic transmission. With the latter, the BRZ takes 8.2 seconds to hit 100 km/h and top speed is 220 km/h. Though an absolute blast to drive, the BRZ’s reported fuel economy of 8.0 L/100 km is far from impressive. As far as its price is concerned, the 2019 Subaru BRZ costs between AED 109,900 to AED 119,000 for the manual and automatic (top trim) variants, respectively. Meanwhile, insurance costs from AED 1,699 for the former.